The books and healing ideas listed here are based on my personal experience as well as recommendations from knowledgeable colleagues. The suggestions with regard to alternative healing come from my own healing journey and should be pursued only after talking to a trusted medical professional. Chödrön, Pema. The Places That Scare You: a Guide to Fearlessness in Difficult times. Boston: Shambhala, 2002. Hanson, Rick, and Richard Mendius. Buddha’s Brain: the Practical Neuroscience of Happiness, Love & Wisdom. Oakland, CA: New Harbinger Publications, 2009. Katie, Byron, and Stephen Mitchell. Loving What Is: Four That Can Change Your Life. New York: Harmony Books, 2002. Lerner, Harriet Goldhor. Fear and Other Uninvited Guests: Tackling the Anxiety, Fear, and Shame That Keep Us from Optimal Living and Loving. New York: HarperCollins Publishers, 2004. Orloff, Judith. Positive Energy: 10 Extraordinary Prescriptions for Transforming Fatigue, Stress, and Fear into Vibrance, Strength, and Love. New York: Harmony Books, 2004. Kabat-Zinn, Jon. Full Catastrophe Living: Using the Wisdom of Your Body and Mind to Face Stress, Pain, and Illness. New York, NY: Pub. by Dell Pub., a Division of Bantam Doubleday Dell Pub. Group, 1991. Basco, Monica Ramirez. Never Good Enough: Freeing Yourself from the Chains of Perfectionism. New York: Free Press, 1999. Brown, C. Brené. The Gifts of Imperfection: Let Go of Who You Think You’re Supposed to Be and Embrace Who You Are. Center City, MN: Hazelden, 2010. Katie, Byron, and Stephen Mitchell. A Thousand Names for Joy: Living in Harmony with the Way Things Are. New York: Harmony Books, 2007. Domar, Alice D., and Henry Dreher. Self-nurture: Learning to Care for Yourself as Effectively as You Care for Everyone Else. New York: Viking Penguin, 2000. Schaef, Anne Wilson. Meditations for Women Who Do Too Much. New York, NY: HarperCollins, 1990. Day, Laura. 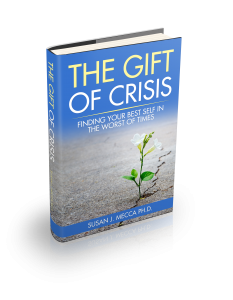 Welcome to Your Crisis: How to Use the Power of Crisis to Create the Life You Want. New York: Little, Brown and, 2006. Dossey, Larry. Healing Words: the Power of Prayer and the Practice of Medicine. [San Francisco, Calif.]: HarperSanFrancisco, 1993. Dyer, Wayne W. The Power of Intention: Learning to Co-create Your World Your Way. Carlsbad, CA: Hay House, 2004. Katherine, Anne. Boundaries: Where You End and I Begin. Park Ridge, IL: Parkside Pub., 1991. Kornfield, Jack. The Art of Forgiveness, Lovingkindness, and Peace. New York: Bantam Books, 2002. McTaggart, Lynne. The Intention Experiment: Using Your Thoughts to Change Your Life and the World. New York: Free Press, 2007. Muller, Wayne. How, Then, Shall We Live? : Four Simple Questions That Reveal the Beauty and Meaning of Our Lives. New York: Bantam Books, 1996. Ponder, Catherine. The Dynamic Laws of Healing. Camarillo, CA: DeVorss Publications, 1966. Naparstek, Belleruth. Staying Well with Guided Imagery. New York: Warner Books, 1994. Siegel, Bernie S. Peace, Love & Healing: Bodymind Communication and the Path to Self-healing : an Exploration. New York: Harper & Row, 1989. Baldwin, Christina. Life’s Companion: Journal Writing as a Spiritual Practice. New York: Bantam Books, 1990. Cameron, Julia. The Artist’s Way: A Spiritual Path to Higher Creativity. New York: Tarcher/Putnam, 1992. Bolen, Jean Shinoda. Close to the Bone: Life-threatening Illness and the Search for Meaning. New York: Scribner, 1996. Lerner, Michael. Choices in Healing: Integrating the Best of Conventional and Complementary Approaches to Cancer. Cambridge, MA: MIT Press, 1996. Kushner, Harold S. When Bad Things Happen to Good People. New York, NY: Avon Books, 1981. Halpern, Susan P. The Etiquette of Illness: What to Say When You Can’t Find the Words. New York: Bloomsbury, 2004. Ram Dass, Mark Matousek, and Marlene Roeder. Still Here: Embracing Aging, Changing, and Dying. New York: Riverhead Books, 2000. Remen, Rachel Naomi. Kitchen Table Wisdom: Stories That Heal. New York: Riverhead Books, 2006. Jamison, Stephen. Final Acts of Love: Families, Friends, and Assisted Dying. New York: G.P. Putnam’s Sons, 1995. Levine, Stephen. Meetings at the Edge: Dialogues with the Grieving and the Dying, the Healing and the Healed. Garden City, NY: Anchor Press, 1984. Nuland, Sherwin B. How We Die: Reflections on Life’s Final Chapter. New York: Vintage Books, 2010. Spiegel, David. Living beyond Limits: New Hope and Help for Facing Life-threatening Illness. New York: Times Books, 1993. Attwood, Janet Bray., and Chris Attwood. The Passion Test: the Effortless Path to Discovering Your Destiny. New York: Hudson Street Press, 2007. 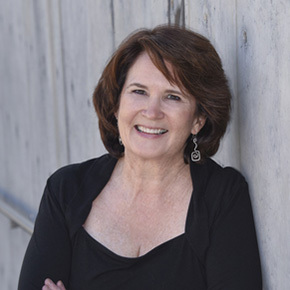 Beck, Martha Nibley. The Joy Diet: 10 Daily Practices for a Happier Life. New York: Crown Publishers, 2003. Dalai Lama, HH, and Howard C. Cutler. The Art of Happiness: a Handbook for Living. New York: Riverhead Books, 1998. Lawlor, Anthony. The Temple in the House: Finding the Sacred in Everyday Architecture. New York: Putnam, 1994. Leider, Richard, and David A. Shapiro. Repacking Your Bags: How to Live with a New Sense of Purpose. New York: MJF Books, 1996. Richardson, Cheryl. Take Time for Your Life: a Personal Coach’s Seven-step Program for Creating the Life You Want. New York: Broadway Books, 1999. Levoy, Gregg. Callings: Finding and following an Authentic Life. New York: Random House of Canada, 1998. Talk about what kind of massage you want and the purpose for which you are getting it—relaxation, work out muscle tension, to energize you. Communicate during the massage about how the amount of pressure is feeling to you. Don’t assume that the therapist knows. Let the therapist know if you want them to interact with you or not. Some people like silence and others enjoy talking. If anything feels uncomfortable to you or you don’t like the way you are being touched, speak up immediately. A good masseuse will be want to know. There are three levels of Reiki training, check to see which level your practitioner has—level three is the most skilled and, in my opinion, preferable. Again, recommendations from friends are the best way to find skilled Reiki practitioners. You can also Google Reiki in your city/hometown. Be sure to check their credentials and ask for a recommendation from a client if you don’t have a personal recommendation to go on. Aromatherapy: Essential oils have been used heal and soothe the human body for a couple of millennium. Be sure that you use only the purest of oils and follow the advice from well-trained practitioners. These books should give you a head start. Fischer-Rizzi, Susanne. Complete Aromatherapy Handbook: Essential Oils for Radiant Health. New York: Sterling Pub., 1990.